About Us | Royal Palm Property Management Inc.
Raised on the principles of trust and honesty, we emphasize the importance of having the integrity to do the right thing and always putting your needs first. It reinforces our belief that our success is ultimately determined by the legacy we leave with each client we serve. We have a true passion for real estate, especially in helping investors maximize their profits through professional and thorough management. We have extensive knowledge of lending, market conditions and neighborhoods in the SWFL area which is vital with any real estate transaction. With us you get a network of professionals available to help clients through any kind of situation. With industry-leading technologies and full service marketing, our team provides unrivaled service and enthusiasm for all of your real estate needs! Royal Palm Property Management is committed to providing you ‘excellence in service’, ‘honesty in communication’, and ‘integrity in business transactions’. 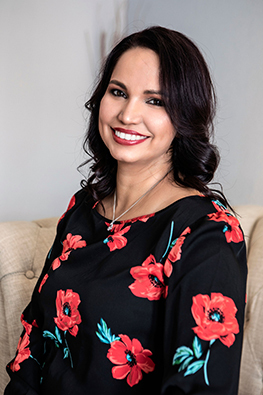 With over 10 years of Property Management experience Ashley brings extensive experience to managing properties and provides her clients with accountability, flexibility and service. Primarily, she serves as a liaison between the tenants, vendors, and property owners, making sure the property operates efficiently and provides a maximized return for the owner.Her experience includes Portfolio Management specializing in Multi-Family Residential and Commercial Management specializing in Apartment Communities. Ashley is a graduate from Hodges University where she obtained her Bachelor’s Degree majoring in Business with a minor in marketing. She is also a licensed Real Estate Broker and has assisted her investor with many sales transactions as well. With 7 years of experience in the customer service field as representative, supervisor and manager for one of the biggest contact centers in the world, he brings an authentic sense of service always focused on the human side, committed to the philosophy that we work with people not numbers. He also has a degree in Internal Communication which he put on practice for 5 years, first as Internal Communication Coordinator for “Little Farm Organics” and later as Graphic Designer for a Real State company. Always willing to help our home owners, tenants and vendors in order to create an excellent business experience for all of them. Marie has worked in SWFL area since 2003 in all aspects of Property Management and Community Association Management. In 2004 Marie started one of the first home watch services in the area and was recognized by the News Press for her achievement. Marie has a creative, enthusiastic and caring nature that really makes her clients, tenants, and vendors feel respected, at ease, and well taken care of. We offer comprehensive services to handle all your management needs, including maintenance, inspections, accounting and more! We want to make your experience in finding your next dream home an enjoyable one! Find houses for rent in Southwest Florida. We provide property management for investors, landlords and owners of properties in Fort Myers and surrounding areas. We offer a wide range of services and tools to help make your stay with us an enjoyable one.